Easier said than done, especially if mom is working and the ailing child is too young to stay at home alone. Babysitters easily run $15-$20 an hour in most part of the country. Neighbors, aunts and uncles and grand parents may be options for some. Neighborhood or family groups can proactively organize into a “friendly village” to cover sick kids at home. Drinking fountains are still a common source of disease causing germs for kids. In fact, scientists in Michigan discovered over 10 years ago that the bacteria and mold counts on water fountain spigots may run as much as 1,000 times higher than the counts on the toilet seat! The solution is simple. Nix the drinking fountain. Both you and your students should bring your own water bottles to school. Viruses can remain viable for hours on hard surfaces -- especially cafeteria tables and meal trays. Don't forget your own desk surface, chair backs, door knobs and especially computer keyboards, shown repeatedly to harbor enormous germ loads. A paper towel moistened with white vinegar, common commercial wipes and an interesting product called Pure 24 (no conflict of interest) are all good choices. Shaking hands is a sure way to transmit germs and catch a cold. Teach your students to use a friendly elbow rub or gentle bump instead. Be hip and bump elbows, too! How often do school kids wash their hands -- properly? For that matter, how often do most adults -- including busy, hard working teachers? Good question! Probably not enough. Soap up your hands thoroughly with warm water then work them for a good 30 seconds, which seems like an eternity for anybody who’s rushed at the time! For a great interactive educational web site from the National Sanitation Foundation (NSF) check out the Scrub Club at www.scrubclub.org. Alcohol based hand sanitizers are good at killing both bacteria and viruses. Aim for a product with 70% or more alcohol content. 90% alcohol content is the most effective. Hand sanitizers come in liquids gels and foams. Some evidence shows that the higher alcohol content wipes do a better job than soap and water. Given the behavioral challenge of getting anybody to wash their hands for 20-30 seconds, hand wipes represent a smart option.Know that your skin will repopulate with normal healthy bacteria promptly after using an alcohol wipe. AND IF YOU ARE ACTUALLY COMING DOWN WITH A COLD . 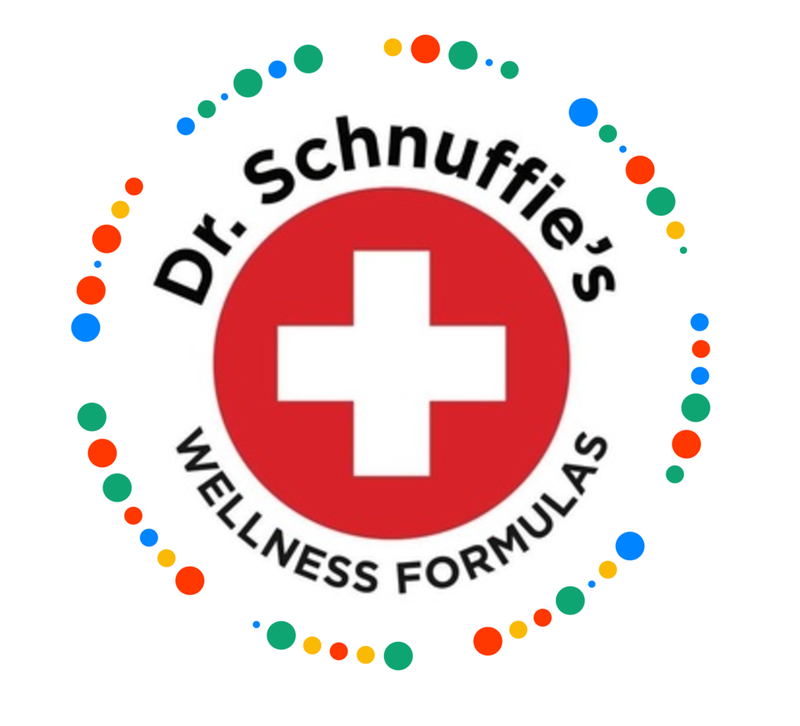 . .
At the first signs or symptoms of a cold or flu-like illness, grab your bottle of Dr Schnuffie’s GET WELL. Take two twice daily with food to knock out that cold fast.